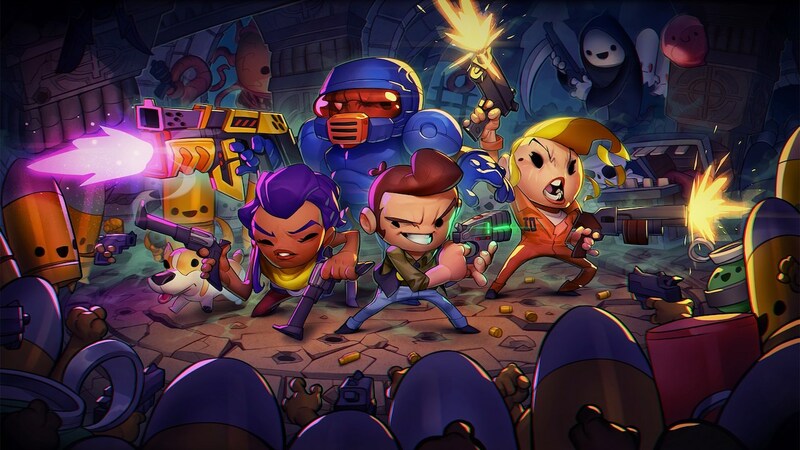 Nighthawk Interactive has revealed that Enter The Gungeon will release at retail for Nintendo Switch, Devolver Digital and Dodge Roll’s ruthless bullet hell dungeon crawler. This physical version will come with all previously released downloadable content – as well as the final A Farewell to Arms – an exclusive Shotgun Kin playable skin, the original soundtrack, and new collectibles – such as exclusive stickers, an exclusive Bullet Kin papercraft, and reversible jacket artwork. In Enter the Gungeon, players choose from several unlikely heroes burdened by deep regret and determined to change their past. The secret lies within the Gungeon, a constantly-evolving bullet hell fortress chock-full of zealous Cult of the Gundead and formidable bosses, each with unique weapon types and firing attack patterns. Players need to stock up on and customize weapons of their own to defeat their foes, with hundreds of options to discover. Enter The Gungeon is now available on the Nintendo eShop for Nintendo Switch and will release at retail in North America on June 25th priced at $29.99.